With Virtual Console a thing of the past for Nintendo, it’s been up to other publishers to step up and bank on their own nostalgia for the Switch. 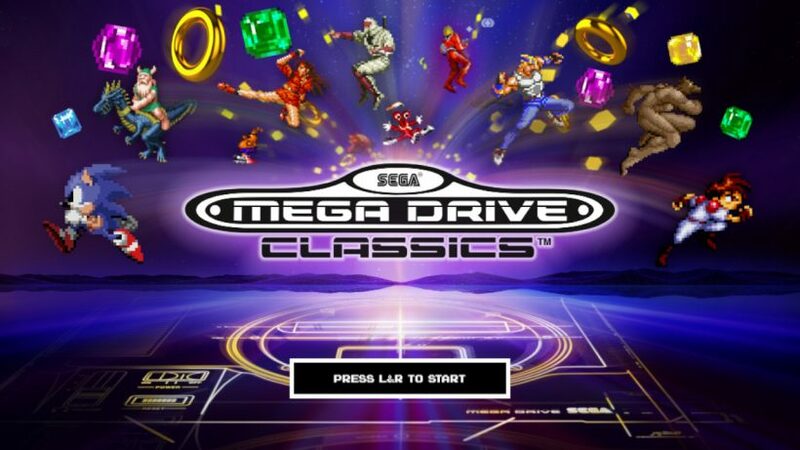 After the likes of Capcom, Namco and SNK jumping on the bandwagon, the latest contender is none other than former rival Sega, here to give Switch owners a Blast-Processing from the 16-bit past in the absence of any SNES classic titles. 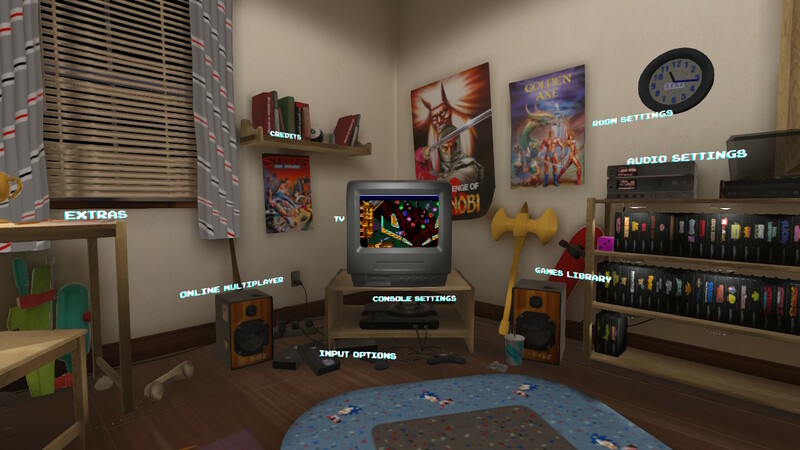 It’s a generous collection too, totalling to 51 games (as many as the mini NES Classic and SNES Classic’s libraries combined), which gives a pretty well-rounded idea of just the kind of palette, genres and attitudes that typified the Mega Drive generation in the 90s. There’s standouts like the blue hedgehog himself Sonic, the violent side-scrolling beat-em up series Streets of Rage, and even a good dose of RPGs with entries from the Phantasy Star and Shining Force series for some more substance in your nostalgia, the latter’s strategy turn-based combat likely to go down well with any Fire Emblem fans. 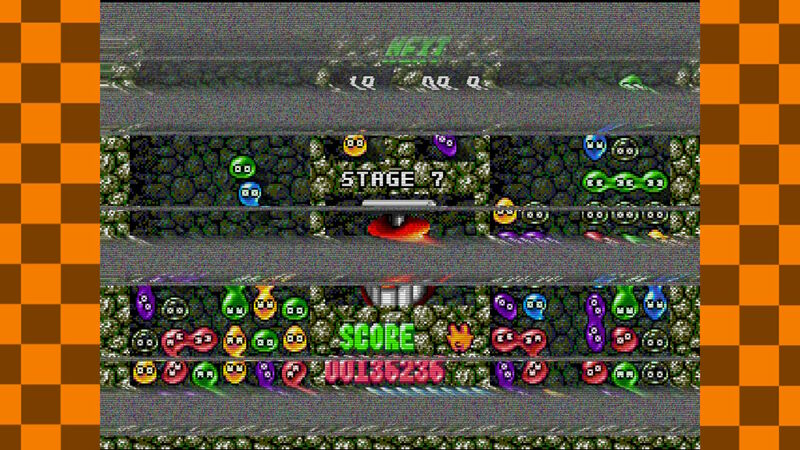 A personal highlight is Dr Robotnik’s Mean Bean Machine, which took the characters from the Adventures of Sonic the Hedgehog cartoon series to sell the very excellent Puyo Puyo puzzle game to Western audiences (a similar reskin job was done on the SNES with Kirby’s Ghost Trap). But just as the Mega Drive tried to outdo the SNES back in the day with streetwise edginess, it was often a case of quantity over quality, which remains so with this selection. You’ll wonder how the primitive Alex Kidd was ever considered as Sega’s mascot, who thought it was a good idea for dreary arcade beat-em-up Altered Beast to be a pack-in title, while regret even sampling the abysmal 2D port (or demake, more like) of Virtua Fighter 2 (at least it’s not Rise of the Robots). 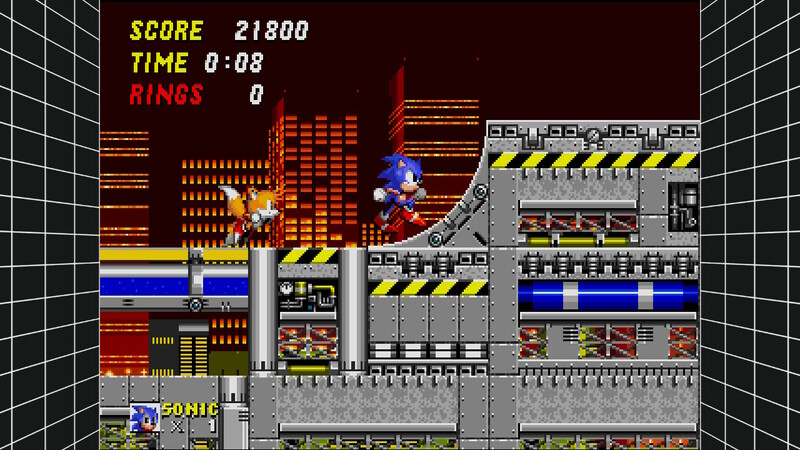 There’s of course also some notable omissions, such as Sonic 3 – despite the padding of spin-offs Sonic 3D: Flickie’s Island and Sonic Spinball – or the many excellent Disney platformers the console had, the latter likely down to licensing issues. Nonetheless, it’s an attractive nostalgia package that you can take anywhere or even support online multiplayer, while there’s also some quick challenge modes that allow you to dip into a specific part of game to play around with. Just like other emulations, creating and loading quick saves at any time is available, but there’s an even sneakier feature that lets you use the triggers to rewind or fast-forward the gameplay, the former great for abusing the RNG-based outcomes of RPG battles repeatedly. Or if you’re looking to change up the experience, you can even flip the display around and play the game in ‘mirror mode’, which sounds quite minor, but it’s a surprise what simply moving from right to left can do to muscle memory. Given all the support Sega has thrown behind the Switch, this retro-visit to its console heydey is a surprisingly good fit on a Nintendo platform, as the Mega Drive celebrates its 30th anniversary this year. With SNES games nowhere in sight for the Switch so far, you might even argue that the Mega Drive wins this console war by default. While not everything is a classic and there’s a few notable omissions, this is still a great mixture of genres couple with neat emulation gimmicks. For Nintendo fans, it’s also a great time travel machine back to see just how the other lived during the great console war.